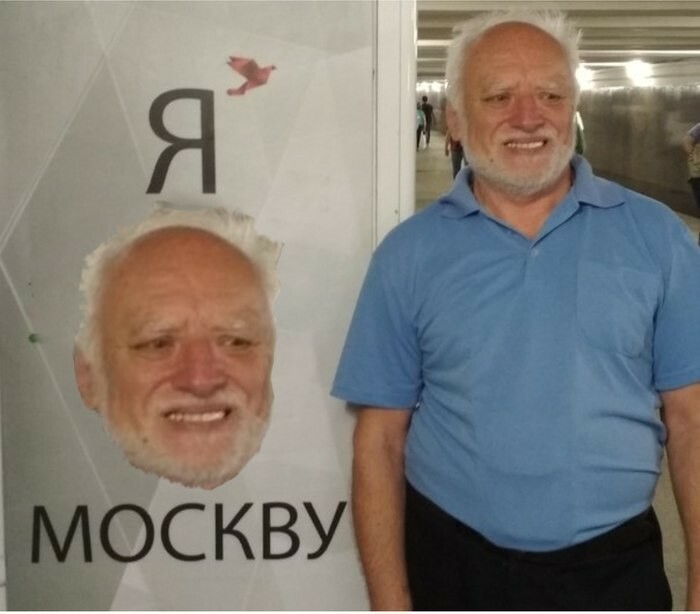 András Arató, a Hungarian lighting engineer and a stock photo model famous online as a hero of “Hide the Pain Harold” meme, arrived in Moscow on May 23. He posted a photo on his VK page but didn’t specify the purpose of his visit. Apparently he left the capital yesterday, judging from his farewell post on VK. But he managed to see Red Square and snap a few nice pics during his fleeting visit. Here’s one next to St. Basil’s Cathedral. And with Russian girls, celebrating the “Last Bell” marking the end of school. Harold bumped into some fans in the Russian capital. Here are a few photos posted by his Russian fans on Instagram. He also took a picture near Lenin's Mausoleum which fans quickly transformed into a new meme. His photo next to an “I love Moscow” poster also didn’t go unnoticed by Russian meme-makers either. “Harold” has many fans in Russia. His VK page has 44,000 followers and back in February he even received a present from his fans from Russia’s Perm by post. 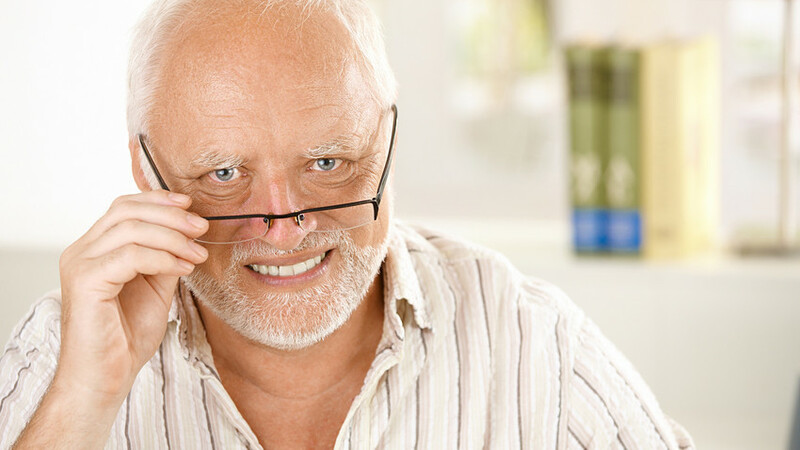 “Hide the Pain Harold” is one of the most recognisable memes online. Earlier this year András starred in a music video for a Hungarian rock band Cloud 9+ and in Manchester City football club’s ad. What other themes and memes are popular online in Russia? Check out our recent stories here. Who makes the biggest splash on Russian YouTube?